It was a demonstration of power by the Bavarians on Saturday. Bayern München destroyed what was once their biggest rivals Borussia Dortmund 6-0 showing no mercy throughout the 90 minutes. The result was not enough, however, to claim their sixth title in a row as Schalke managed to beat their opponent SC Freiburg on Saturday but at the same time, the latest Bundesliga title will only be a matter of time. The result, against Borussia Dortmund, will also have given the Bavarians significant confidence ahead of the quarterfinal clash against Sevilla on Tuesday. In fact, the demonstration of power was by many seen as a show of strength towards the rest of Europe as the Bavarians would very much like to add another Champions League trophy to their cabinet. Standing in their way in the quarterfinals are Sevilla. On paper, the Spanish side were perhaps the most comfortable draw left in the Champions League. But in truth, the La Liga club is an excellent team as their 2-2 draw against Barcelona on Saturday attests. Sevilla also eliminated Manchester United in the round of 16. That result, in particular, highlighted that the Spanish club should not be underestimated. Manchester United, despite significant investments, may not be among Europe’s football royalty anymore but the club coached by José Mourinho is still a considerable club to count among your scalps if you are Sevilla. Bayern, therefore, will have to take this fixture very serious. Furthermore, Bayern have struggled in past years against Spanish clubs with Real Madrid, Barcelona and Atlético Madrid ending any European ambitions over the last four seasons. Getting past Sevilla would, therefore, go a long way for Bayern to overcome their Spanish trauma. Bayern last eliminated a Spanish side under Jupp Heynckes – Barcelona in the semifinals of the 2012/13 Champions League season – and with only two Bundesliga defeats under the head coach look in good form to do it once again. 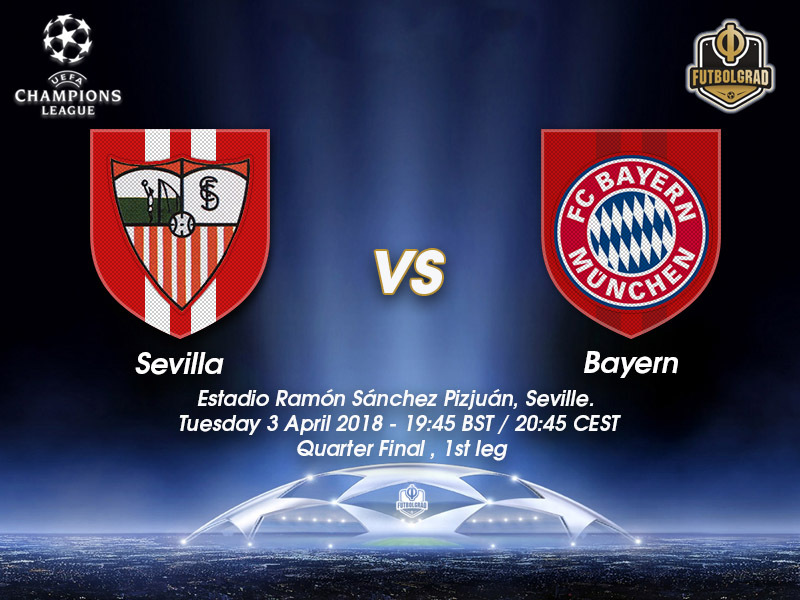 Playing dominant football Bayern have been a machine and despite Sevilla’s positive results against Barcelona and Manchester United Bayern will be big favourites to advance to the semifinals. Signed from Sampdoria in the summer of 2017 for €21.5 million Luis Muriel was supposed to fill the void left by Kévin Gameiro, who left the club in 2016 and was never replaced. Muriel had scored 11 goals and nine assists for Sampdoria in the Serie A throughout the 2016/17 season and Sevilla hoped that he could make the next step playing in Spain. 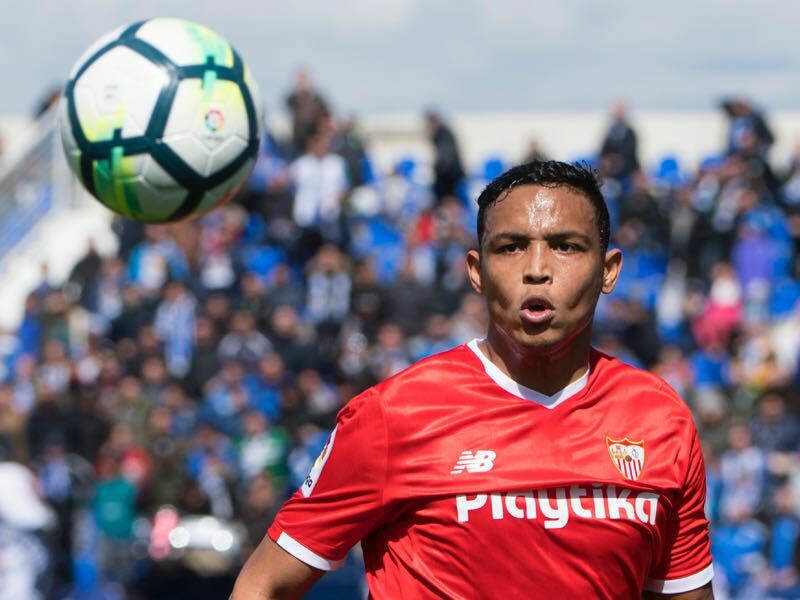 Although he has scored seven goals in 24 La Liga games this season, Sevilla expectations are that Muriel will become a more consistent goal scorer for Los Rojiblancos. It was another stellar performance by James Rodríguez against Borussia Dortmund. The Colombian midfielder scored one goal and picked up two assists. He also created the buildup play that led to Bayern’s fourth goal just before halftime. The midfielder has been on fire this season creating a chance every 28 minutes this season. Signed on loan from Real Madrid Bayern paid just €13.3 million for the loan deal. The Bavarians also have an option to make the deal permanent for another €42 million. With Bayern likely to make the deal permanent at some point James would be the most expensive signing in the Bundesliga history, but in the current market would be an absolute steal. Bayern have never before played Sevilla but have been eliminated by Spanish opponents in the last four seasons. 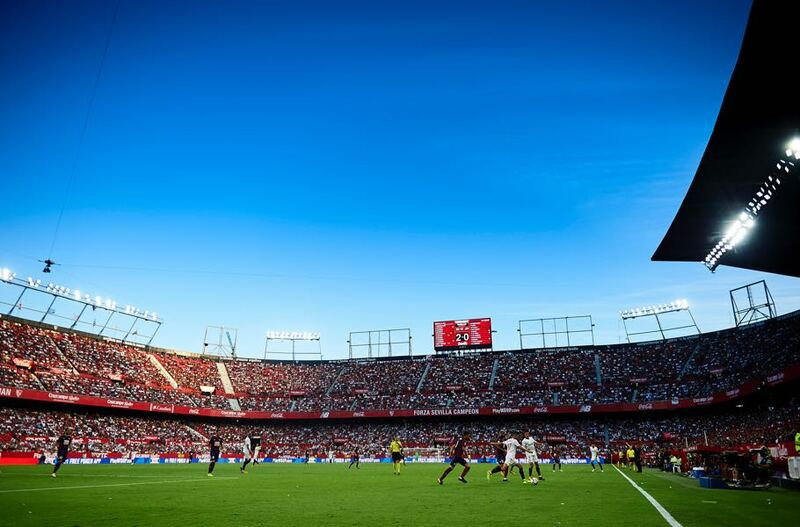 Furthermore, while the Munich club have lost their last five away games to La Liga sides, Sevilla are unbeaten in their 11 home games against German clubs (W7 D4). Sevilla’s only previous European Cup quarter-final came in their debut European season, 1957/58, when they lost 10-2 on aggregate to Real Madrid (0-8 away, 2-2 home). Sevilla have won their last three home games against German sides, all without conceding, most recently beating Mönchengladbach 3-0 in the 2015/16 group stage. Bayern are in the quarter-finals for a club-record seventh successive season. Before losing to Real Madrid 12 months ago, they had won six last-eight ties in a row. Bayern are appearing in the UEFA Champions League quarter-finals for the 17th time, more than any other club. FC Barcelona and Real Madrid are next in line at 16 apiece. Overall Bayern’s away record against Spanish clubs is W6 D5 L15.